"After living on the street for 20 years, we're now tasting what it's like to live like kings. We're sleeping in fancy sheets, drinking champagne and living in mansions ... and we're f***ing loving it." 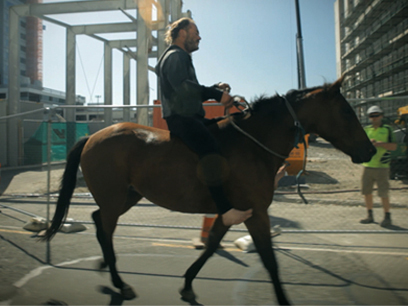 This Loading Docs short film turns its lens on Cowboy and a group of homeless people for whom the 2010 Christchurch earthquake presented a luxury squatting opportunity. Director Zoe (Day Trip, The Deadly Ponies Gang) McIntosh's thought-provoking look at an aspect of the city where she studied screened on TV’s 20/20 and was shared by the UK’s Daily Mail.